A new study in The Journal of School Health has found that alcohol is more likely to act as a gateway drug to substance abuse than marijuana. The study proves that marijuana consumption is not an indicator as to whether a person is likely to move onto harder drugs or not. “By delaying the onset of alcohol initiation, rates of both licit substance abuse like tobacco and illicit substance use like marijuana and other drugs will be positively affected, and they’ll hopefully go down,” study co-author Adam E. Barry, an assistant professor at the University of Florida’s Department of Health Education & Behavior, told Raw Story in an exclusive interview. While Barry’s study shows evidence that substance abuse behaviors can be predicted with a high degree of accuracy by examining a subject’s drug history, he believes thatthe persistent and misguided notion of marijuana as the primary gateway to more harmful substances went awry because its creators — who called it the “Stepping Stone Hypothesis” in the “Reefer Madness” era of the 1930s — fundamentally misread the data and failed to conduct an adequate follow-up. And while that standardized progression certainly doesn’t fit every single drug user, the study took that into account too. “There were a low enough number of errors that you are able to accurately predict [future substance abuse behavior]… with about 92 percent accuracy,” Barry said. Barry also noted that the rates of tobacco and marijuana use among all 12th grade high school students were virtually the same, confirming a report the Centers for Disease Control published in June, and an analysis Raw Story published in May. The study should give pause to anyone involved in youth drug awareness programs, as its findings suggest that making science-based alcohol education a top priority could actually turn the tide of the drug war — but only if lawmakers and leading educators decide to use that same science as a foundation for public policy and school curriculum. “I think [these results] have to do with level of access children have to alcohol, and that alcohol is viewed as less harmful than some of these other substances,” Barry added. That social misconception, largely driven by the sheer popularity of alcohol and the profits it generates for private industry, is diametrically opposed to the most current science available on drug harms. 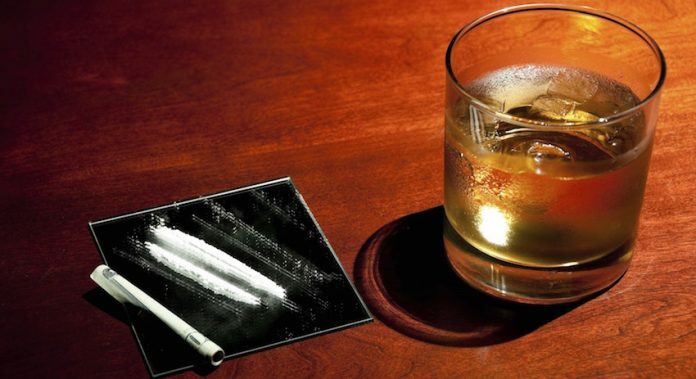 A study published in 2010 in the medical journal Lancet ranked alcohol as the most harmful drug of all, above heroin, crack, meth, cocaine and tobacco. Even more striking: The Lancet study found that harms to others near the user were more than double those of the second most harmful drug, heroin. In its last Youth Risk Behavior Survey, the CDC found (PDF) that about 71 percent of American students have had at least one alcoholic beverage in their lifetime, and almost 39 percent reported having at least one drink within the last 30 days.